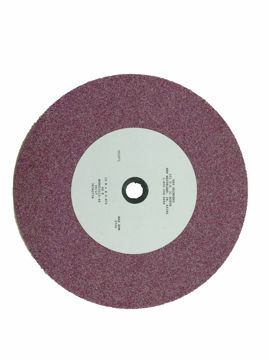 Ceramic 36 Grit Premium Ceramic Grinding Wheel. Abrasive wheels are produced in a wide range of specifications to perform satisfactorily ina wide range of grinding applicaitons. 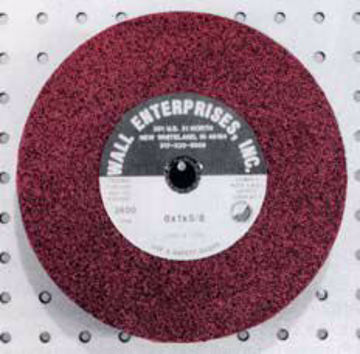 RBG Grinding Wheels are manufactured to exact specifications to meet your requirements for sharpening rotary mower blades. RBG Grinding Wheels have set new standards for quality and provides a choice of performance alternatives to meet your grinding needs and price requirements. RBG Grinding Wheels are rated with a Good (Aluminum Oxide), Better (Ruby Wheel), Best (Hard Side Mulch Wheel) and Premium (Ceramic Wheel) ratings.